Grew Up… on the Ark, orbital home to the 2,658 descendants of nuclear apocalypse survivors from Earth. Clarke’s loving father and mother served as Senior Environmental Engineer and Chief Medical Officer, respectively. Because of the elite status of her parents, Clarke is considered more privileged than most of the other teens on the space station. Living… on Earth, a planet that was ravaged by nuclear war 97 years ago. She was sent there along with 99 other juvenile prisoners in order to assess its habitability. Clarke’s “crime” was that she knows that the Ark is running out of oxygen, which is the reason (though not the public one) that the Delinquents have been shipped to the wasteland that is Earth. It’s a toss-up as to what is more dangerous – her surroundings or her companions. Interests… art, medicine, and tactical games such as chess and warfare. The latter two interests become very useful. Relationship Status… complicated. Her best friend Wells seems to have deeper feelings for Clarke while Finn, another member of the 100, keeps flirting with her. However, romance takes a backseat when it comes to survival. Challenge… ensuring the safety of the 100. There is a lot for Clarke to do, from finding food and shelter to establishing contact with the Ark to managing the other teens. Moreover, she has recently realized that they might not be the only ones on this planet – and that their neighbors might not be so welcoming. Personality… principled, dependable, and determined. Clarke is a natural-born leader. She makes the hard choices when nobody else wants to, she dispenses both justice and mercy, and she does it all while being selflessly humble. 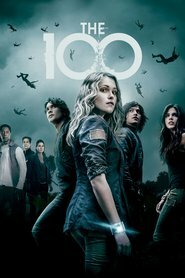 Clarke Griffin's popularity ranking on CharacTour is #144 out of 5,000+ characters. See our top-ranked characters and read their profiles.